My husband and I live on less than $8,000 a year apiece. That's just under $700 a month. After food, clothes, travel expenses and technology purchases, there isn't much left for entertainments. 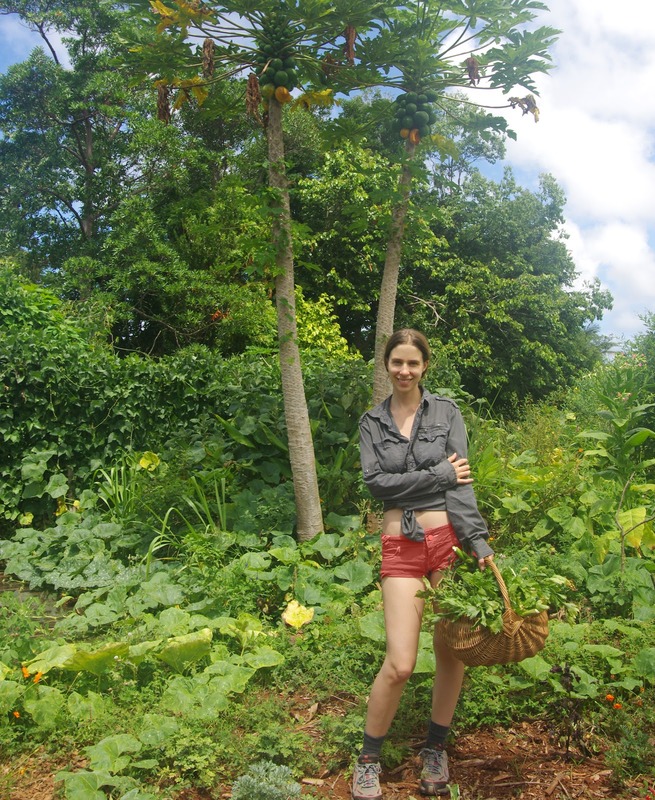 I'll share more about how we eat all organic, travel 5+ months out of the year, wear organic clothes, enjoy lots of free time and do it all on less than $8,000 in a moment. But first, I'd like to explore all the ways we get out and have fun for free, or just a few dollars. In this article, I'm going to present 15 ways you can get out of the house, have a great time and not spend a lot of money. Even for a home-body like myself, going out to events is an important facet of my own personal happiness. If you're anything like me (which I'm betting you are), you enjoy going out too. Very few people are truly content to just stay home all the time. I enjoy attending yoga and zumba classes, visiting friends, having picnics in the park, creating gardens, shopping for plants, foraging for wild edibles, grocery shopping, and many other things besides. Unfortunately, we live in a culture where "going out" is synonymous with "spending lots of money." A friends' night-on-the-town can easily cost north of $150 for just three people. Just imagine three friends go out around 5pm. They have dinner at a restaurant for $20 each. Then around 6:30pm they see a movie with popcorn. Admission is $20 each, popcorn is $10. Then at 9:00pm they head to a bar and combined they order $25 worth of drinks. At 10pm they go see a concert for $10 each. The soberest of the three drives everyone home around 2am, and together they've spent $185. Instead of going out to the movies, form a family theater. Gather your friends, family and community and decide whose home(s) is most appropriate for a weekly theater gathering. The space needs to have a large screen or projector as well as plenty of comfortable seating. After the movie, consider having a discussion group about the movie. This can be a fun way to make the occasion more communal or family-oriented. Ask everyone for two things they really enjoyed and one thing they felt could have been better. Save on the cost (and negative health impacts) of snacks by rotating who is going to prepare home-made, organic popcorn and/or other enjoyable movie foods. Home-made, organic popcorn served with hot sauce and/or salt and pepper is less expensive than microwave-made and it is also far healthier. Remember that the pre-packaged stuff (usually) contains harmful laboratory-created fats as well as genetically modified corn. Before serving the popcorn, consider putting out celery sticks, baby carrots, cherry tomatoes, watermelon slices, cucumber slices, apple slices (sliced with a ceramic knife so they don't brown) and locally-sourced, raw cheese from grass-fed animals. Many yoga studios have a community class once a week that is free or donation-based. Also, most yoga studios let you take your first class free. This means you can get one free class for every yoga studio near you. Then, after your first, free class, ask if they have any donation-based classes. Another option is to create a yoga community with your friends. None of you have to be good enough to teach. You can use youtube videos to guide you. You just need a space where you can do yoga and watch or listen to a video. If nobody has indoor space, consider doing this in a park. Just like running, it is easier to stay motivated if you do it with friends on a regular schedule. Seek a time and place that you and your friends can commit to weekly. If you don't have many friends, or if your friends are not into yoga, you can join meetup groups that focus on fitness to meet other people who are interested in moving their bodies. Meetup.com is a great way to discover free events in your area. In virtually any city you'll find dozens of events happening every single day. Everything from skate-boarding clubs to raw food potlucks. There are groups for meditation, groups for hiking, and groups for going out and partying together. Whatever your interest is, you'll find opportunities through meetup – if you're in a city. If you're rural, there will be less options, but I still highly recommend looking at what options there are. You can use meetup groups to meet local people with mutual interests even at groups that are only remotely interesting. For example: Despite not being a drinker, I've attended beer-crafting workshops. I've found the workshops to draw a very fascinating group of people. Even though I'm not into making beer, I find that the people who are interested in crafting their own beer are also interested in many other do-it-yourself projects. I've met people into bee-keeping, permaculture gardening, solar power, healthy eating, kombucha brewing, sustainability and making their own solar panels at beer-brewing workshops. If you enjoy video games, find a place where you and others can get networked together and play together in the same space. It's much merrier to share a game in person. Even though most of your focus will still be on the screen, being together means that you can share snacks, live commentary and a real dinner together after you've completed a quest, level, mission or series of farming-runs. This is one of my personal favorites for enjoyment. 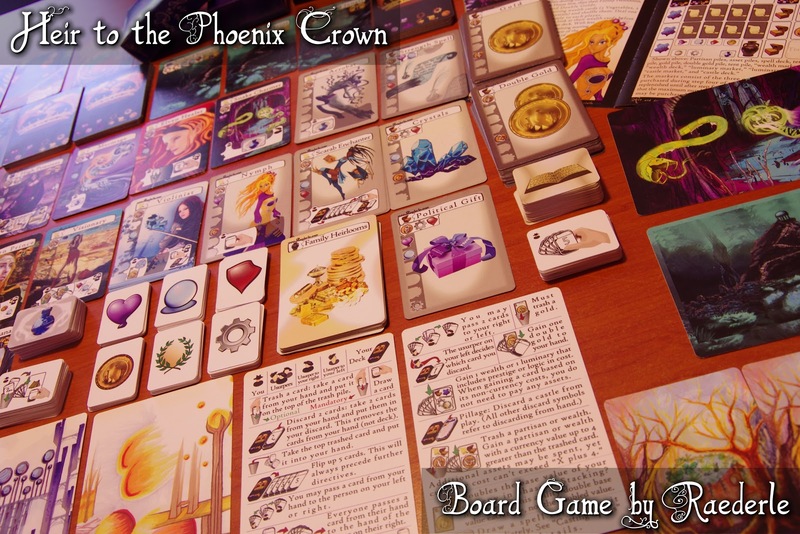 As you can imagine, I'm not just a board game designer – I'm also a board game player. Urban areas will mostly already have an existing board game group, usually findable on meetup.com. Most cities actually have multiple gatherings per week in different areas of town, and many have several groups. Buffalo, New York, for example, has two different gatherings for Dungeons and Dragons per week, as well as a European strategy-game gathering weekly, as well as a whole separate meetup group that does cards and other more traditional American games each week. Even without a local group, you can host your own board game gatherings. Even if you only have a few games, you can request those who attend to bring one to three games they'd really enjoy playing. Then everyone who attends can opt to play or not play whatever they like from the selection available. All you need is a table or two and chairs to be a host. If you're not game to prepare food, ask that gamers eat before they come, or do snacks potluck-style. For three years I was part of a very active writer's group. One of the most beneficial practices we came up with was "group introspection" during "writers' outings." We'd choose a time and a location, and from there we would proceed to do a silent walk and/or observation of an area while carrying a small laptop or notebook for writing. Locations can include: Subways, restaurants, parks, museums, harbors, bridges, beaches, fields, farms, shopping markets, and parking lots. The idea is to gather somewhere to observe your surroundings and find inspirations for writing. This can come from observing nature, weather, people, animals, traffic, or mechanical devices. With minimal equipment, a park, and some friends, a sporting event isn't hard to arrange. Tennis, basket ball, rugby, soccer, volley ball – you name it. Choose a game and find a local group that plays using meetup.com, local bulletin boards, your church, your school and/or workplace. These same venues can be used to found your own group that meets up to get sporty. If you really enjoy doing something that has an entry fee, such as ice-skating or visiting an amusement park, look at season pass options. My family was able to get passes for four people to go ice-skating unlimited times for $20 per person. The regular adult admission for going just once was $12. We averaged five ice-skating excursions apiece that winter. If we had paid each time, it would have cost $60 per person. That's $40 savings per person, and a total of $160 savings between all four of us. In past years I've bought season passes to amusement parks. Admission for one person, one time, was $30. The season pass was $100, and it came with perks like one-time passes for friends to come in with me. I ended up going eight times and using all of my passes to bring friends besides. This same principle can be applied to skiing, water parks, state parks, national parks and more. While hotels cost $30 to $200+ per night, couch-surfing is free and Air B&B is usually much more reasonably priced. Besides, you get to meet interesting people who know the area when you stay at their home. This is just the tip of the massive well of classes you can take. Just taking one free introductory class per week can make a radical difference in your feelings of excitement, enthusiasm, inspiration and enjoyment from moment to moment. And, with so many classes to choose from, you might be able to find a new class for every week of the year. While you're trying all these new things you'll meet new people and discover more local opportunities to get out and enjoy yourself for free or at a low cost. During the summer months is a great time to utilize "u-pick" opportunities. While picking berries to take home with you at a low price, enjoy the fresh air. Bring friends and chat while you pick. Eat just as many berries as you buy and you're essentially getting half price. In addition to berries, some farms let you pick beans, peas, apples, grapes, and cherry tomatoes. Be sure to seek organic u-pick locations for the cleanest, healthiest, most bee-friendly food. Crafting doesn't have to be superfluous. Most of us have clothes that need repair, aspects of their home that don't look/feel/function as they should, areas of our life that are disorganized and so on. Having a little crafting party can remedy quite a bit. I remember once asking a friend where they were going. They were leaving a party of mine early and I was sad to see them go. He said, "I'm going to a darning gathering." "Darning. You know, patching up elbows and knees of your clothes." I blinked. "I forgot that was what 'darn' actually meant." He chuckled and then pointed to the tear in the elbow of his coat. "That's one of the things I'm going to be fixing." Turning empty toilet paper rolls into nice-looking pen-holders, wire-holders & more. Create your own chemical-free (or at least less toxic!) home-cleaning products. Get the idea? When you're kicking around the house wishing you had something to do... Get crafty! Or do something else on this list. Better yet, make your own list, choosing your favorites from your experience and from this article and from any place you can find ideas. Then whenever you've got free time you want to utilize with something fun, whip out the list. Have some land or a friend with some land? Take a short hike and collect wild-flowers to decorate your home. Vases full of wild-flowers are enjoyable on the dining room table, in the kitchen, and on your work-desk. They also help spruce up photographs. This is especially useful if you have a blog. Use wildflowers to decorate your blog photographs, whether they be photos of fabric or food. Other wild-crafting can include gathering drift wood for crafts, or smooth stones for a garden path. You can dig up comfrey for its roots to make a "bone-knitting" tea, or chicory for coffee-flavored tea that is soothing (instead of stimulating). One of my personal favorites pass-times is exploring consciousness. This means learning about and/or interacting with any facet of the mind and/or the way humans or animals behave/think. My personally favorite resource for this is Teal Swan. For example, check out this video from her: Wake Up Call About Emotions. Teal often has questions and exercises in her videos that you can do. My favorite is to pause the video while watching it with friends and then have everyone take turns answering the question or doing the exercise. I find this much more satisfying and connecting than common conversation. It takes you deep into the heart of your being, and into the hearts of your friends. While the traditional family dinner is going out of style, there is a new era of gatherings. These gatherings range from being called "Family Dinner" to "Vegan Potluck" to "Gluten-free bake party" to simply "picnic with friends at the park". Potlucks, picnics and dinners can be focused around the friends, or around the food. They can have a theme such as local, Paleo, vegan, gluten-free or ethnic. They can be at a park, a house, a community center or in a garden. They can be for breakfast, bunch, lunch, or dinner. They can have events that occur before or after, such as drumming, singing, hula-hooping, board games, movies or crafting. Getting people together can be challenging when all your friends work full-time. I find that it is easier to attract people when food is involved. People come for the food, but then they stay for the company. 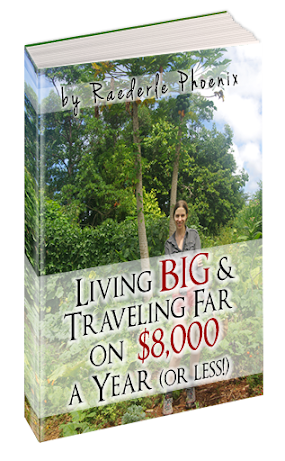 Many people have asked me over the years how my husband and I afford to travel so much. For example, from May 1st 2015 through August 2015, we traveled from Maryland to Maine to Vermont and only spent a week of that time at home. That's four months of traveling. In 2013 we spent 5 months on Kaua'i island (the most gorgeous Hawai'ian island). You can imagine that people are surprised to find that we live on less than $700 per month, per person. In fact, often we've lived on just $700 for both of us. That includes travel expenses, taxes, clothes and an all-organic diet. I didn't realize how unusual this was until a roadtrip I took in early in 2013 where I was repeatedly asked about my financial situation that allowed me to take two-month long roadtrips such as the one I was on. When I revealed my finances to friends and family, they were shocked. I began to realize that most people considered $20,000 a year poverty-level income! And yet, that was more than double what I was earning. Imagine living like the rich, yet earning less than the poor! Without food donations or clothing donations, I've been living a laptop lifestyle since 2011 on less than $8,000 a year. One of the major secrets it not spending much (or anything) on housing. Another major facet is prioritizing. Yes, I have a $500 reverse-osmosis water filter, a gaming laptop, a car, a professional DSLR camera and so on, but I don't have a TV or a cell phone. Yes, I eat gourmet, fresh, organic food. But I don't eat at restaurants. I'm not saying my choices at the one-and-only way to live, or the best way, but I'd like to share with the world the alternatives I've discovered. Even if you have entirely different preferences in your own life, you can save a lot of money by taking the time to read my book, Living Big & Traveling Far on $8,000 a Year (or Less! ).